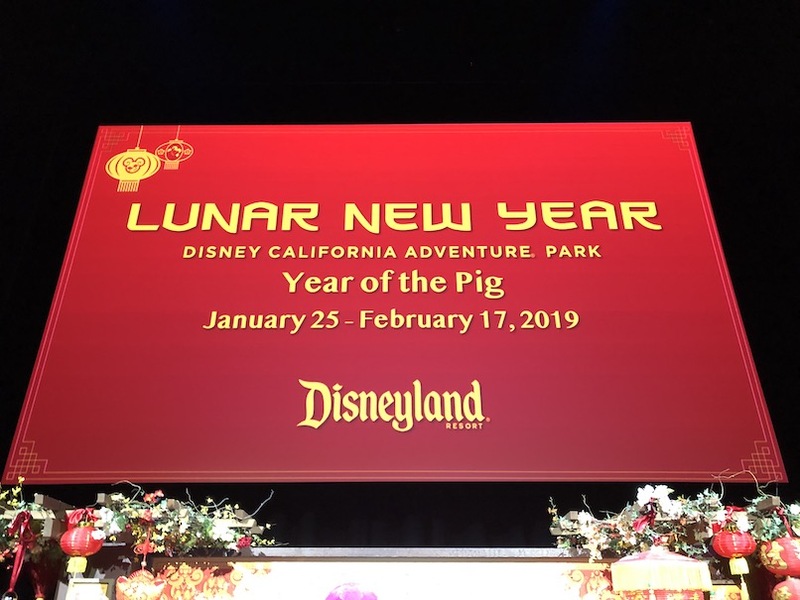 It’s the Year of the Pig and everyone is celebrating at Disney California Adventure at the Disneyland Resort. 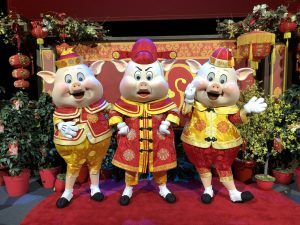 For the first time, guests will be able to see the Three Little Pigs (Fiddler, Fifer, and Practical) in Mulan’s Lunar New Year Procession. 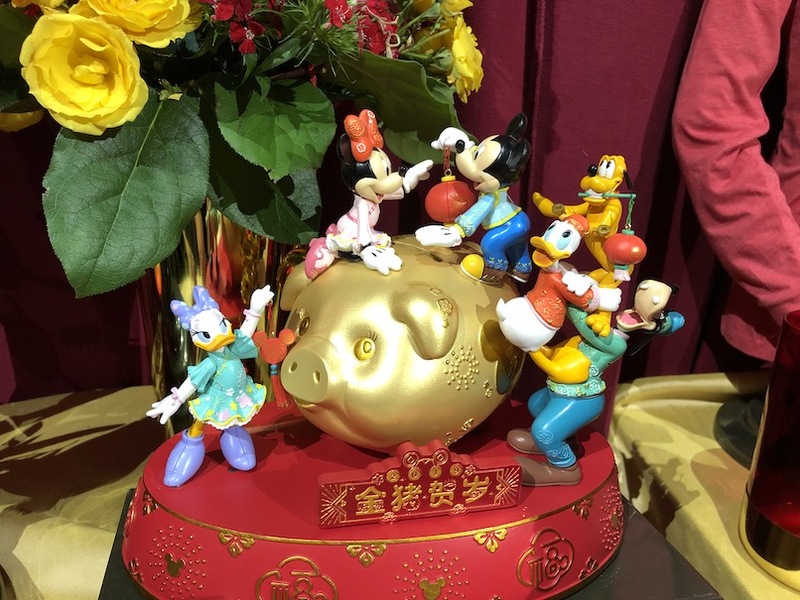 And of course, there is little Mushu as well as a bunch of other Disney characters on hand to celebrate. Disneyland always prepares special food items for their celebrations and this is no exception. Pick up a Sip and Savor pass so you’ll be able to sample a wide variety of food from various countries. 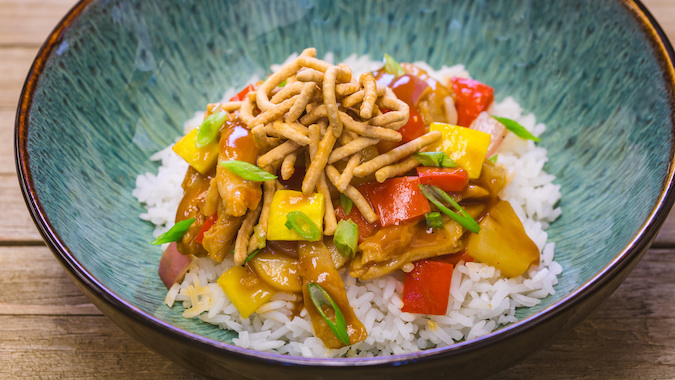 Personally, I can highly recommend the Stir-fried Vegetables & Pineapple with Soy Protein at the Lucky 8 Lantern. Just thinking about it I want to go back for more! And definitely try the Raspberry Lychee Chia Tea (non-alcoholic) at the Red Dragon Spice Traders. With the Sip and Savor pass, you can go to any of the food kiosks celebrating the Lunar New Year in DCA and sample whatever you want. 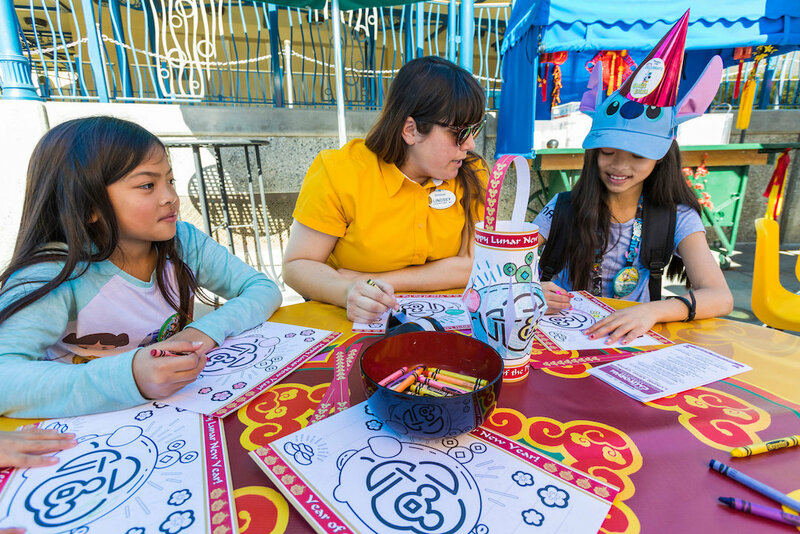 Of course, if you don’t want to purchase a pass ($36 for annual passholders and $39 for non annual passholders) you can still purchase the individual food and drinks. 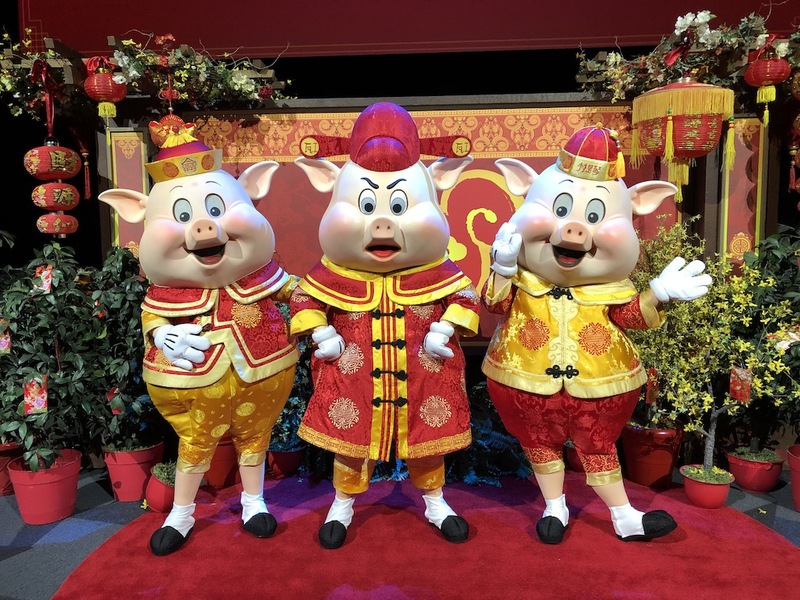 As Gary Maggetti, General Manager of DCA West, told a group of media, “It’s the Year of the Pig-Out.” And with all the food the chefs have created, that is definitely the case. There are plenty of things to do during the Lunar New Year Festival. There is an area where guests can create their own paper lantern, there is a Lucky Wishing Wall where guests write their wishes for the upcoming year on little pieces of paper then attach them to the wall, there are musical performances (Dat Ngyuen and the performing group from China called Melody of China) and there is the colorful and musical Mulan’s Lunar New Year Procession. The procession has several of the Disney characters along with Mulan and Mushu, but there are also Asian dances and music. It’s truly a delightful way to immerse guests in the Asian cultures and the spirit of the Lunar New Year. And last but not least, guests will be inspired to purchase a special item to c ommemorate this event. 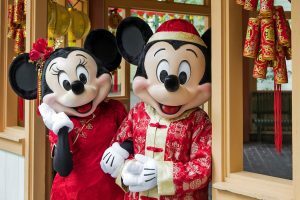 Perhaps it will be the beautiful ears, a light-up lantern, some shirts or other items. 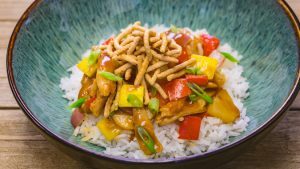 The folks at Disney have come up with some great items to bring home to enjoy long after you leave the resort. 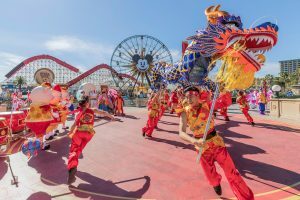 The Lunar New Year festival at the Disneyland Resort runs through February 17, 2019, so get down there soon to enjoy the sights, sounds, and of course the food and celebrate along with Mickey and Minnie.